Considering that we only spent one night in Haworth (and much of the day either side), we managed to cram a good deal into our short time there, and certainly felt like we'd seen a lot. We started day two with a hearty fry up in the comfortable and spacious cafe area of the guest house that we were staying at. 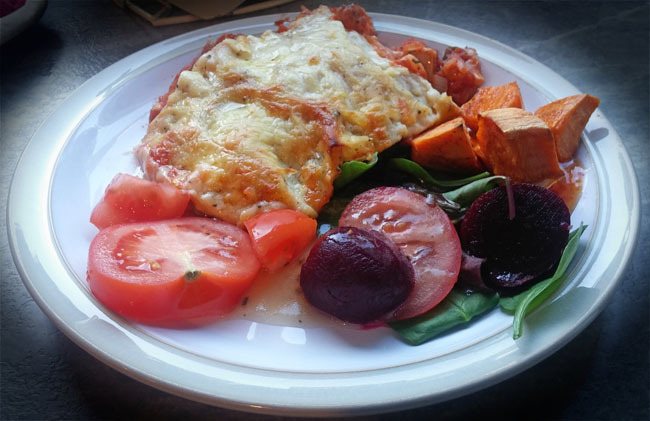 There's no better way to start the day whilst on a trip than with a hearty breakfast, I always feel. It keeps you going for a morning filled with sightseeing, without looking for the nearest sandwich outlet. 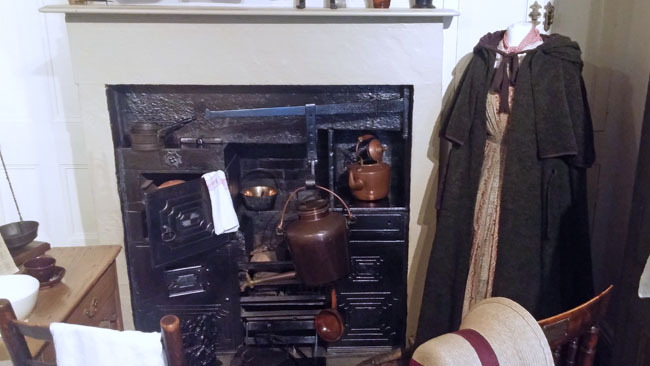 After breakfast, and moving the car to a 'free at the weekend' spot, we toddled over to the Bronte Parsonage Museum. 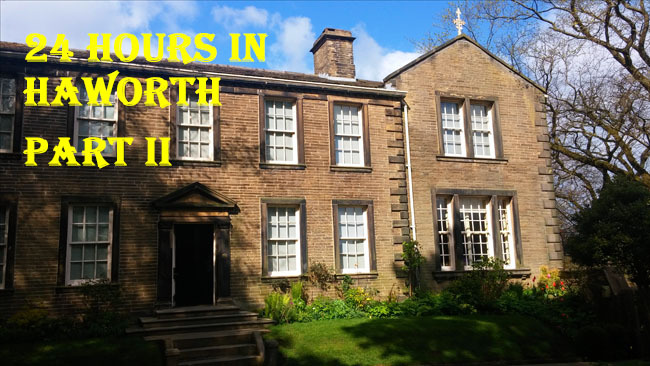 Given the history and provenance of Haworth, a trip to the village isn't complete without a visit to this former home of the literary family. The ticket office is located in the book and gift shop, and of course there was no way I could come away empty handed. I decided, having never read it, to buy a copy of The Tenant of Wildfell Hall. It was the feminist undertones that sold it to me, and the fact that I had never read anything by Anne Bronte. It's really nice too because if you buy a book from there they stamp inside the front cover to say it has been bought from the museum. Anyway, I digress. Whilst the house looks vast, large, and the sort of abode that one couldn't help but be happy to live in, the small and rather 'cosy' rooms inside make it feel far less so. The museum is fantastic though, the rooms are laid out as they would have been when the Bronte's lived there, and the gowns on display were from a recent BBC drama about the Brontes, and whilst they weren't authentically belonging to the Brontes, they were obviously as good as it gets in terms of historical costume. 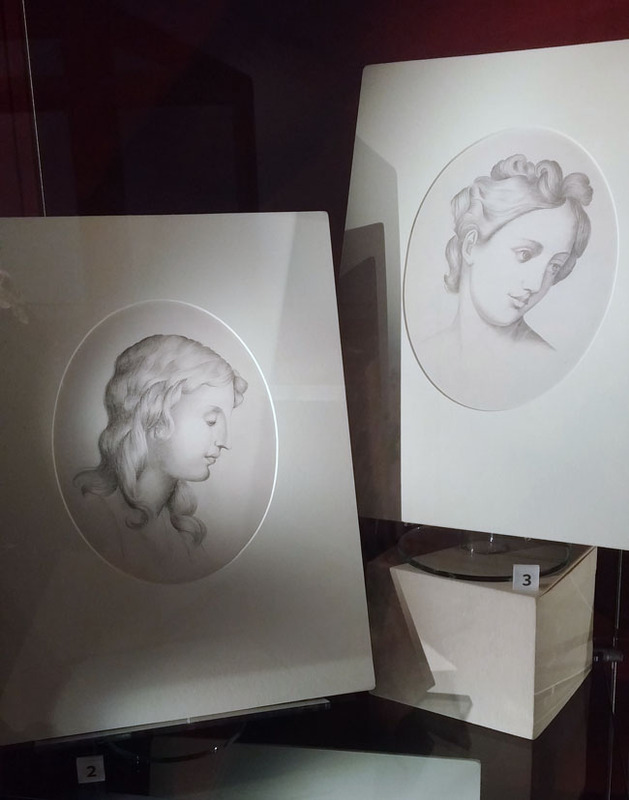 Upstairs, we got to view the small sleeping areas of each sister, along with the wonderful sketches of Charlotte Bronte. It's one thing to be so gifted an author, but imagine being able to draw like this too. It's amazing the creativity that can be borne of not having Instagram, hey? Most disturbing was Branwell's room. 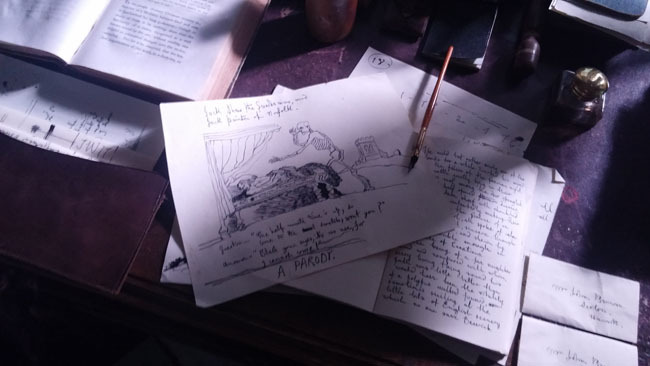 Recreated in a dishevelled manner that one could reasonably assume that the troubled Branwell would inhabit and with an open notebook showing depictions (or predictions) of death, it was perhaps the saddest room in the house. 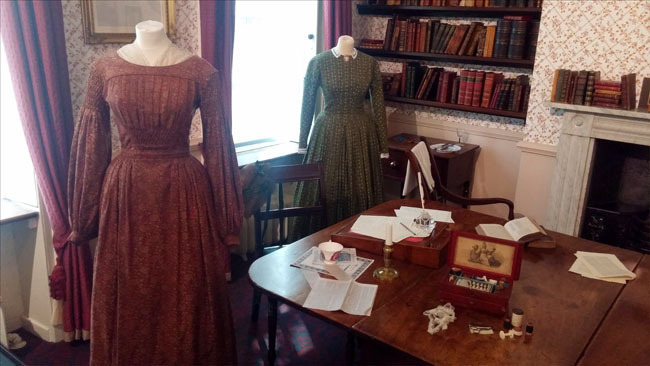 The exhibits end with more information around the Bronte's life, and in particular their father, Patrick, as well as displays of more of their notebooks, drawings, hairbrushes and other such belongings. At only £8.50 for an adult to go in, it was well worth the visit and not only did I learn so much, but strangely enough it reinvigorated my desire to be creative too, by whatever medium. After our wander around the museum, we took a walk in the sunshine back through the graveyard and to the farthest point so we could view Penistone Hill, and if you don't know the significance of that (or why it could only be justified by a moody black and white image of it) then go and read Wuthering Heights and find out.